Each year, families seek out a little mountain town for some fun in the sun. 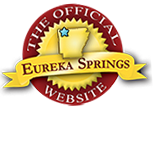 Eureka Springs has been a regular family vacation destination for years. The best Arkansas vacations are found at the corner of Spring Street and Family Fun in Eureka Springs. 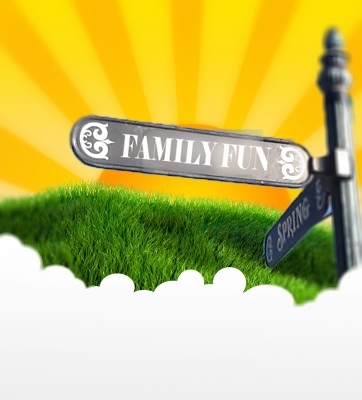 Here are some great ideas for family fun in the sun! Fun After 5, the Artrageous Parade, Downtown-N-Underground and more. Eureka Springs downtown is where the most FUN happens! It’s a safe place for kids to explore and there is plenty of fun for adults too with dozens of unique shops, great restaurants, shady green spaces and a never ending stream of interesting people (if you like people watching). Fly through the treetops suspended 300 feet above the ground on one of Eureka Springs newest attractions…Ozark Mountain Ziplines. Ride the longest and highest ziplines in the region in Eureka Springs. Visit the big cats of Turpentine Creek Wildlife Refuge and don’t miss feeding time. Get your tickets online now. Hear the Greatest Story Ever Told and make some great stories of your own. The Great Passion Play opens again in May. There is at least a full day’s worth of stuff to do at the Passion Play. Get your tickets online now. While you are in the area, consider a day trip to the Walton Arts Center to take part in Arkansas’ Arts + Nature Festival, Artosphere. Listen to great music while you walk the Frisco Trail with Artosphere’s Trail Mix Concert. The kids will enjoy ERTH’s Dinosaur Petting Zoo or seeing Jack Hanna go “Into the Wild”. In addition to Artosphere, the Walton Arts Center brings great acts and performances to Northwest Arkansas. This entry was posted on April 24, 2013 by estcblog in Arts & Culture, Festivals, Fun Downtown, The Great Outdoors, Things to Do and tagged Arkansas, downtown, Eureka Springs, food, historic downtown, history, local culture, May Festival of the Arts, Outdoor, Top 25 Arts Destination, Turpentine Creek Wildlife Refuge.